Located in historic Old Town Manassas we have been serving the local community for 30 years. 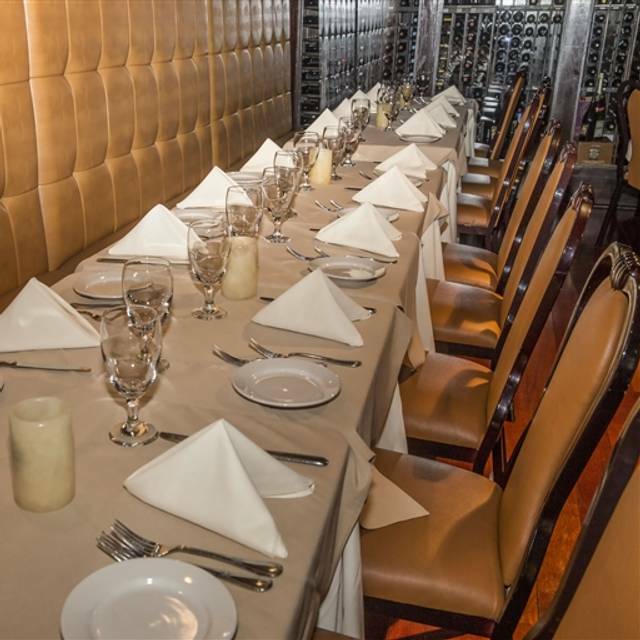 Our private dining area seats 60 comfortably and we have many package options to fill any need. 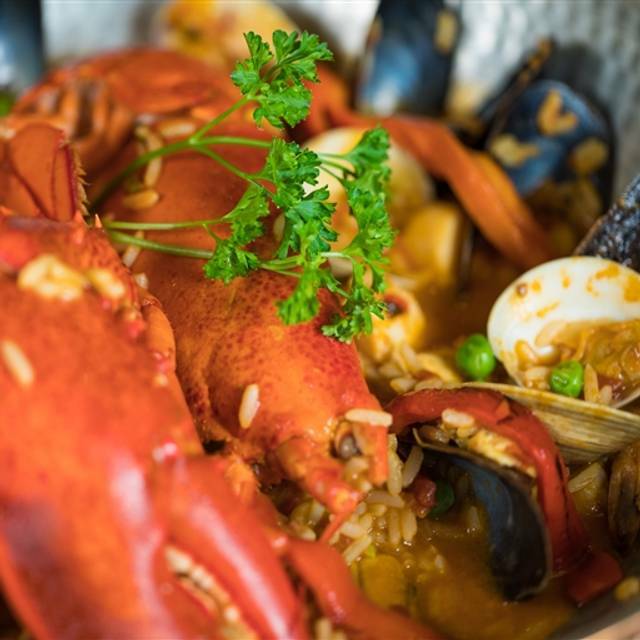 Carmello's Of Old Town Manassas is a family owned and operated restaurant in Historic Manassas, which specializes in Mediterranean Cuisine with Portuguese Fusion. The restaurant features a seasonal menu with locally sourced items from local farms and from our very own garden. 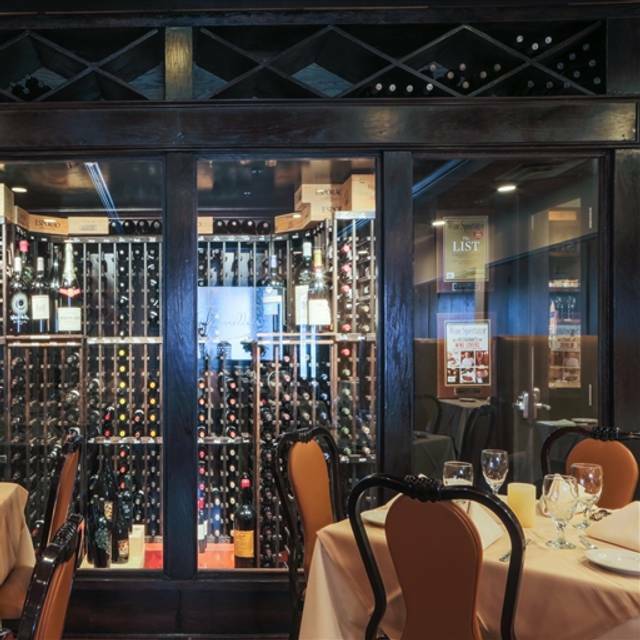 To accompany your dinner select from our Wine List, which included 2010, 2011,2012, 2013, 2014, 2015 , 2016, 2017 & 2018 Wine Spectator award winning bottles. Come try our extensive Portuguese wine list and taste for yourself what everyone will be talking about. We currently carry over 75 Portuguese wines from such regions as Alentejo, Douro, Doa, Estremadura, and Vinho Verde. Our list of Portuguese wines is one of the finest in the DC Metropolitan area and compares with many of the top Portuguese wine lists in the America. 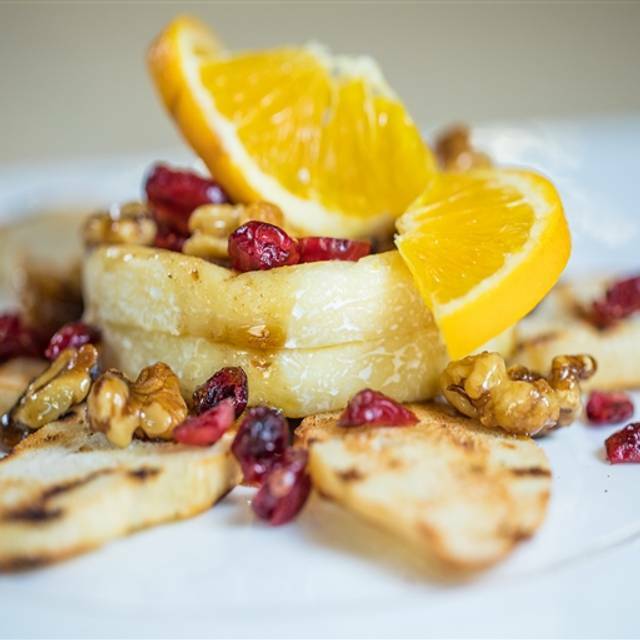 Do You Have Vegan, Vegetarian, and Gluten Free Menu Items? Is My Save the Date Deposit Refundable? How Many Hours Can We Reserve the Banquet Room? Can I Bring My Own Desserts? How Do You Reserve the Banquet Room? The meal was wonderful! The wait staff was very attentive! It was a perfect way to celebrate my birthday! My wife and I were very impressed with Carmello’s. The food was outstanding! Chris provided superb service- some of the best we had ever had in any restaurant!! Highly recommended!! Javier, our waiter, was outstanding. The cuisine from appetizer to dessert was amazing. We started with the fois gras app. It was simply divine,like butter served over mushrooms in a light brown sauce. Next, the grilled Romaine Caesars salad with anchovy...delicious. My wife had the lamb chops served with potato gratin and grilled asparagus. I had the Veieras(sp?) a tomato saffron? 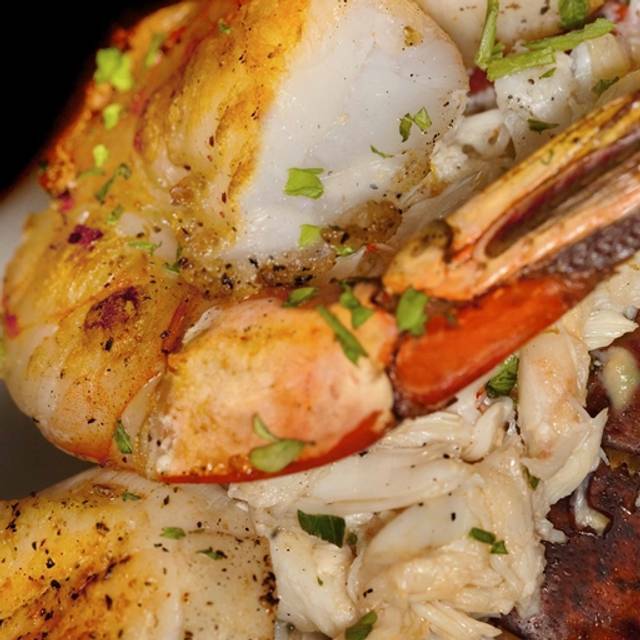 rice served with lobster meat, grilled scallops and grilled shrimp. Both entrees were delightful. We had coffee with the creme brûlée for dessert. So good and so reasonably priced. We went to Carmello’s for our 38th Anniversary. I wish I could remember our server’s names but our experience was awesome. We got the salmon with stuffed crabmeat (big tasty chunks of crab), and chicken with sausage. Both entrees were delicious. Our son also celebrated with us and he def enjoyed his salmon/crab as well as cream puffs. Our server surprised us with heavenly creme brûlée to celebrate. The service was friendly and timed perfectly. Overall, super time. Look forward to returning. Excellent service. Great food. Best Caesar salad and Veal Parmigiana ever. It was our anniversary and we were given complimentary glasses of sparkling wine and Crème Brule. Great food and excellent service. Price is on the higher end but that's what you expect for a fine dining establishment such as this. Definitely coming back again. I came here with my fiance, his parents and my parents so that they could meet for the first time. We were brought to a private-ish room that was romantic and quiet with limited seating. We felt amazing and it was a great, quiet and lovely experience! Fine dining at its best in Manassas. Wonderful food, wine, atmosphere and service. 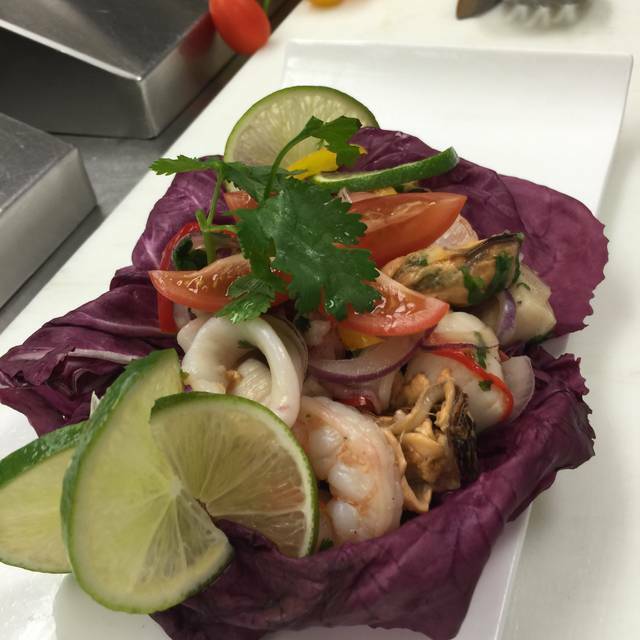 Our server (Adalid) always ensures that our experience is both enjoyable and memorable. Carmello’s staff (Alice - owner) always takes time to make us feel like family. Wine was excellent. food was excellent, atmosphere very charming and hostess was very pleasant and sweet. The only disappointing part of the evening was the waiter made us feel rushed and he interrupted too much. I will eat at Carmello's again. Wait staff was attentive. When I said we wanted dessert but had to catch the train, it was ordered and brought very quickly with the check. 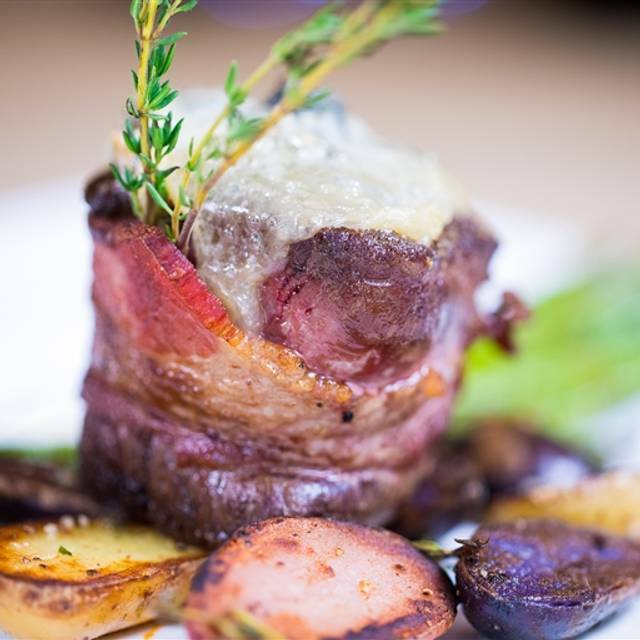 Carmello's has always been one of the best fine dining options in Manassas. I've done proms, rehearsal dinners and most recently, celebrated my mom's birthday there. I always remembered it as an Italian restaurant however it is more Portuguese style with an Italian influence now. Albeit a surprise, the food was delicious, ambience was great and our server was very friendly and prompt. Will definitely be back when I'm in town again. Our go-to place for all special occasions and it never disappoints! Excellent food and good service considering it was Valentine's Weekend. Overpriced; portions very small.....poor value. I would not recommend. Not horrible. Look, there aren't tons of choices in Manassas, so that should be considered. The meat was properly cooked, which is a major thing. But, the risotto was bland and the octopus app was way to salty/acidic. The wait staff was young and didn't know what they were doing. Service was great. Food was ok. Temperature was an issue with food. Great bottle of wine and our waitress was great. It was very busy as to be expected for Valentines Day. It was a Valentines Day dinner. Very good atmosphere, very good menu catered to the holiday. I enjoyed their hospitality and food. 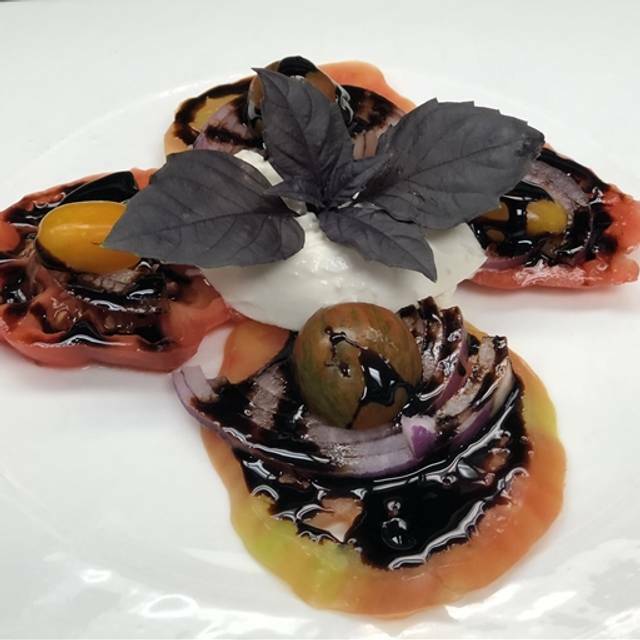 We have eaten at Carmello’s several times and had very positive experiences, great food and great service. We had dinner the day before Valentine’s Day to avoid the crowds and rush. We also had reservations, which worked out well and our table was ready. Our food order was correct, timely and pretty good. I did not care for the non-traditional Caesar salad. It was a small heart of Romain which was mushy. I much prefer a crispy fresh traditional Caesar salad with Parmesan cheese vs. the strong Gorgonzola. Our service this time did not compare to previous visits. It seemed rushed and impersonal. They had a coat check and no one was in the entryway or offered to take our coats. When our food was delivered it was as if the waiter was just rushing on to the next table and we were not asked how our meal was after it was delivered. We were bothered when our bill was dropped off on our table in passing. The waiter did not stop to thank us for coming, and ask how our meal was-rather just set the bill on the table and went on to the next table. When a dinner bill for two is $130, it was a disappointing experience. With a few more personal touches, it would have been a more positive experience. Our favorite restaurant... all our special occasions are there because of the great food, the intimate surroundings, and the friendly people. We have never been disappointed; the staff goes the extra step to make us feel special. First time there- excellent food and service. Will be back! This is one of the best of everything hidden jewels in northern Virginia. The dining room is cozy and the food is off the chart delicious. The more casual adjacent restaurant and bar is also a great experience and offers many of the dining room menu items. Extensive wine list. Our favorite waiter is Heillo. What a charming and very nice man. The menu was wonderful and the food nearly perfect. Oddly though, the one bad note was that in multiple dishes, the pasta was way overcooked to the point of being mushy. For such a good Italian restaurant, this was a disappointing surprise. Service was amazing. Food was well displayed and very tasty. Portions were good not too much and just enough. Atmosphere is calm and quiet. Good for date night. The food was amazing. The wine selection was fabulous - we love the thorough description on the menu. We always ask for Javier. He’s a wonderfully attentive server! Carmelo’s is a very relaxing location for date night for all. It is romantic, great food and good wine. Highly recommend it. Excellent food. We live in Burke and made the trek out for our second time there. Excellent all around. Great experience. Loved the food. We will go back. Carmello's never disappoints! It has quickly become family tradition to dine there after attending our church’s Christmas Eve service. While only a limited menu is available on Christmas Eve, it is clear that great care was taken to provide dishes to appeal to a variety of tastes and needs. Be aware that seating in Monza can be quite noisy. Should you prefer a quieter dining option, request to be seated in the main dining room. We have dined at Carmello’s many times- we were disappointed in our dinner on Christmas Eve. Our meals were not hot- we were served salads before our appetizers-there was no wine list that night-servings were huge- almost too much food-you could tell the staff was overwhelmed. Overall- not worth the money. Went for Christmas Eve dinner. Great atmosphere and welcoming, friendly staff. Next time we are out in Manassas we will be there or their sister restaurant! The food was lovely, but the service was way below expectations. When you are paying more than $30 an entree with white table cloths, etc, you expect some basics to be covered. When we ordered a bottle of Sauvingnon Blanc, our waiter came back to ask if that was red or white?? The family at the table next to us let us know that they received a bottle of red wine after ordering Pinot Grigio. We ordered two appetizers which arrived about 15 minutes apart. When we saw the family next to us with two kids eating plain pasta (and one drinking out of a kids cup from the restaurant, we asked about plain angel hair pasta as a possibility for our son (an angel hair with vegetables and cream sauce was on the menu). After the waiter went back and forth to the kitchen twice, we were told that wasn't an option. Understood, but very odd when you see what the kids next to us were eating/drinking. The same table next to us was then served the wrong desserts TWICE. As we ordered entrees, it was clear our waiter did not know the menu. Everything had to be pointed out to him. For our two kids, we ordered a pasta dish to be split. The waiter even said he would have the kitchen split the dish. It took more than 20 minutes after the delayed appetizers were consumed and cleared for our food to come out. When it did arrive, the pasta dish had not been split. Additionally, our water glasses were not refilled once. The kids were not offered drink refills once as their drinks remained empty. The wine was not presented -- and our glasses were never refilled. I waited tables for many years and give A LOT of leeway to those in the industry but this service was just horribly off. Unfortunate when you look forward to a special Christmas Eve dinner with your family and this is the outcome. There are way too many good options out there to go through this experience. Great restaurant, a little load with the Christmas party in the separate room. Will be back and the food was very good. It was a very enjoyable evening and a nice start to our Christmas festivities. 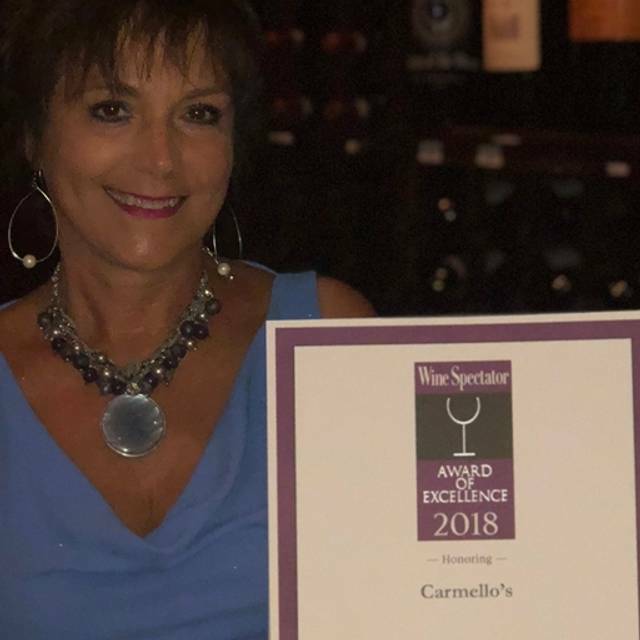 This was mine and my fiancee's first time dining at Carmello's, and we were absolutely blown away by the ambiance, food, and service. Everything was wonderful down to the place settings. Our server was attentive and professional, and our food was absolutely to die for. We will most definitely be returning soon. Excellent service, Food was plentiful and very well presented. Wine list was addaquete would definately recommend this for a nice night out. We had reservations for 6:30 and ended up the last ones there. As is the norm for dining here, Carmello's once again provided us with delicious food and drink, and our waitress (Daniella) was superb.